Mallory Johnson is a rising star from Newfoundland. She just received an ECMA 2019 award nomination. Mallory was a leading member of 6-time Music NL award winning and ECMA nominated Celtic family group The Cormier's in Newfoundland with her brother, mother and uncle in her younger years and recorded multiple albums and has toured Canada, the US and Scotland. At eight years old she was the youngest ever to perform both Canadian and American National Anthems at the Air Canada Center in Toronto for an NHL game. Adding to her talents, Mallory has also very busy in musical theatre in Newfoundland. Since her first trip to Nashville to record her debut EP and has been turning heads in the country music scene and songwriting community. She shared stages with artists like Carolyn Dawn Johnson, Rascal Flatts and Blake Shelton to name a few. Her debut single, TUPELO reached #6 on the Canadian itunes Top Songs list and found a home on GAC and CMT.com. Her following single, GOOD MISTAKE TO MAKE broke the top 50on the Music Row Chart and top 30 on the CDX Breakout Chart. In May 2018, Mallory released her EP which received three nominations for Female Artist, Country Artist and Rising Star of the Year. 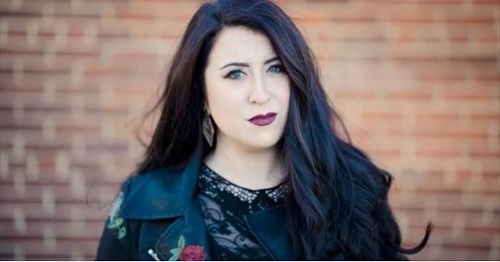 She was invited to showcase new music at the 2018 CCMA Songwriter Series as well as the 2018 MusicNL Songwriter Circle. Mallory is currently working on a feature film project and asked to write music for the soundtrack. Mallory will be performing on the ECMA 2019 Gala Music Awards Show in Charlottetown on Thursday, May 7.